Events | Rebuild Dominica, Inc. This forum will be moderated by Rebuild Dominica Inc. President, Mr. Gabriel Christian, Esq., and hosted by Courtney McFarlane and Dr. Claire Nelson. Streaming live from 8:00 p.m. to 9:00 pm EDT. To attend and participate please RSVP at https://www.eventbrite.com/e/smart-caribbean-online-forum-tickets-51053926669. How We Share Space is one of the 30 issues being addressed by ICS’ SMART CARIBBEAN initiative launched earlier this year, which promotes the concept of entangled sustainable systems, meaningful metrics, agile and adaptable agency, robust resilience and transformative use of technology as the DNA of the paradigm shift required for the Caribbean to successfully navigate the shoals of the emerging future. The formation of a Caribbean Space Society is an outcome of a scenario study developed and first performed by ICS President, Leading Futurist and Sustainability Engineer, Dr. Nelson under the theme “Moon Runnings” at the Emerge Festival of the Future, organized at Arizona State University. “The need for a Caribbean Space Agency is critical, and it is my hope that the Caribbean Space Society, we co-create with all like-minded peers, to ensure that the Caribbean is not left behind in the race for space”, states Gabriel Christian, Esq. — Co-Convenor of the ICS’ Caribbean Space Society. Monday’s online forum will feature CARAH Honorees — Sir Edward Cheung, NASA Scientist and inventor of ARUBA Satellite; Robert Rashford, CEO of Genesis Engineering Systems and designer of Hubble Telescope payload; and Dr. Camille Wardrop Alleyne, NASA Scientist and first Caribbean woman to be successful in astronaut training. The highly anticipated Dominica Cultural Awards Gala organized by the Association of Dominicans in the Northeast USA (ADNExUS) in conjunction with Know Your Culture Dance Troupe, the Dominica United Cricket Club, the North American Association for the Advancement of La Plaine and the Northeast USA Wesley Chapter will be held at the Montclair Women’s Club in Montclair, New Jersey on Saturday, September 22, 2018, starting at 7 pm. The collaborating groups will be celebrating the 6th anniversary of this event, which raises funds to support deserving Dominican causes, and will assemble a diverse lineup of talented Dominicans to share the spotlight and enrich the program for the benefit of supporters. The Association of Dominicans in the Northeast USA, originated from the Northeast USA Wesley Committee, and was formed in 2014. Out of a need to bring together the various civic groups of like mind that are focused on contributing to the development of Dominica, but wish to do so in a cohesive and purpose-driven manner. The Association’s overall objectives are to identify and support programs that promote the island of Dominica in the areas of health, through the provision of medical supplies; education through scholarships to young Dominicans; community outreach with a focus on Dominican businesses and more mature Dominicans; and tourism through cultural and destination educational programs. Founded on October 1, 2005, The Virginia Caribbean-American Cultural Association Inc. (VCACA) remains true to its mission: bridging the literacy gap both educationally and culturally, and support other social programs in the community. The nonprofit provides scholarships to college students who are financially disadvantaged but, wish to continue and complete their college aspirations. VCACA also promotes youth development programs. Their biggest annual fundraiser is CaribFest, which will host its 13th annual festival and parade on Saturday, August 18, 2018. Rebuild Dominica Inc has partnered with Know Your Culture (KYC) to showcase our beautiful Nature Isle this year during CaribFest in Norfolk, Virginia (VA). 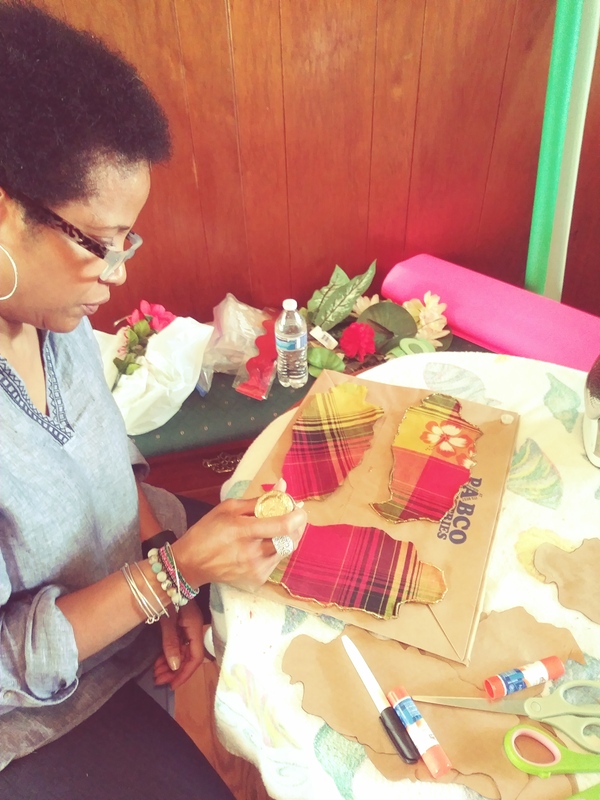 In preperation for the upcoming event in Norfolk, volunteers from Rebuild Dominica Inc — Mrs. Joan Christian, LaDana Drigo and Ta’Tyani Young — met with the Founder of KYC, Sabiena George Mingo, to prepare for KYC’s section of the CaribFest parade. KYC is a New Jersey based dance group focused on performing, celebrating and teaching the cultural, traditional dances of Dominica. KYC has performed at many popular Caribbean events. KYC’s mission is to promote Dominica’s wonderful culture using national wear, traditional dances and cultural music. Performances in the Diaspora allow American audiences to experience Dominica’s culture in true Dominica Independence fashion! 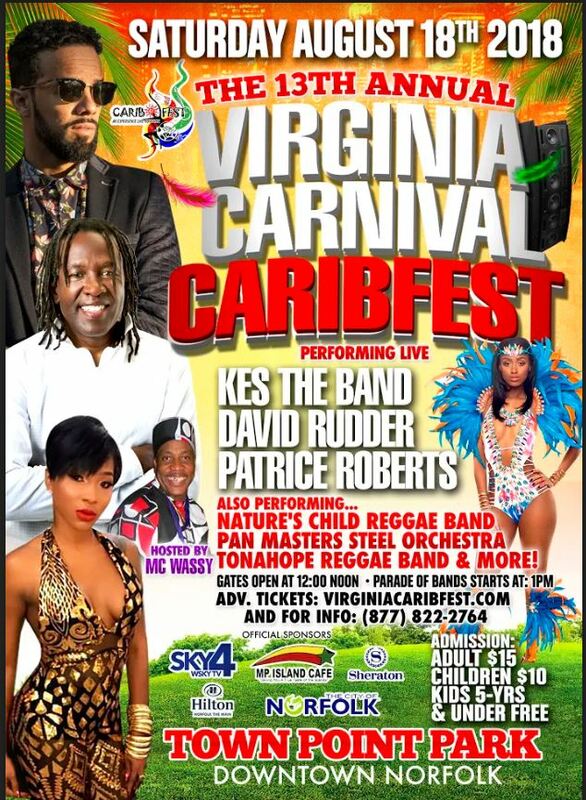 To learn more about CaribFest or to secure tickets online, log on to www.virginiacaribfest.com.